First, Bruges: The City on the Zwin includes components for a 5th player to compete in the game, with a separate board showing the canal on which this player would build. To make the card deck larger — so that not all of the cards would be in play, as in the game as published — this expansion includes additional character cards that belong to a new guild. 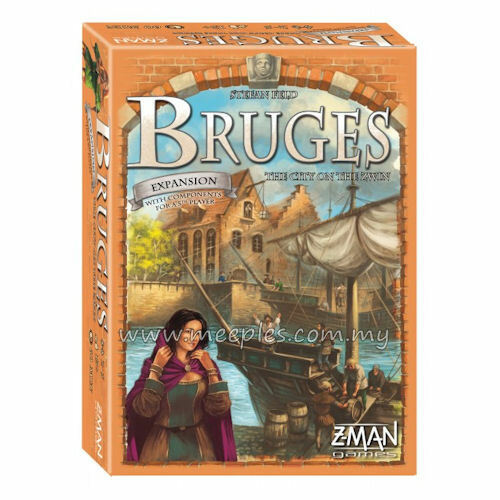 Some of the powers of these characters match those of the base game, but you'll also now have the ability to dig through the discard pile to pull characters back into play. 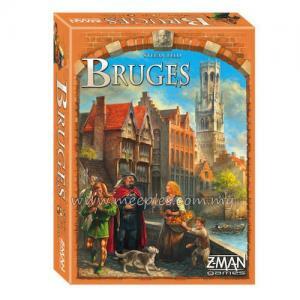 *NOTE* This is not a complete game, Bruges is needed for play.